This is your parking contract. Please read it carefully. It provides the guidelines you must follow. These guidelines have been designed to provide safe, cost effective and efficient parking. This helps keep your parking fees low while giving you a high level of service and convenience. By following these guidelines everyone benefits. Reserved Parking Spaces do not allow the parking of Recreational Vehicles, trailers of any kind, vehicles greater than 18' in length, commercial vans or panel trucks, except in specifically designated areas. No inoperable vehicles, vehicles leaking oil or other fluids or the repairing of vehicles may be parked at the Transportation Center. Reserved Permit Spaces allow riders to park in any space within the designated parking area. Reserved Permit holders are not required to validate their parking. Holders may park overnight only if authorized to do so and only in areas specifically designated for overnight parking. Additional guidelines and terms may be found on signs posted at the parking facilities. You Park at Your Own Risk. Individuals park at Hercules Transit Center at their own risk. Please lock your vehicle. 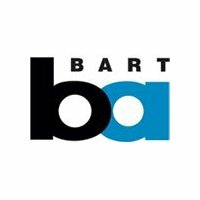 The BART and the City of Hercules shall not be liable for any risk, or loss of, or damage to, property of individuals, including vehicles or the content therein, which may result from the use of parking services or facilities. No bailment is intended or created. Parking in the reserved parking areas is by permit only. Parking permit decals remain the property of the Hercules Transit Center. Permits are not transferable to another party and are valid only on vehicles to which it is assigned. All parked vehicles shall display a valid permit and valid registration. Permits must be displayed in the front windshield. Vehicles parked without valid permits will be towed at the owner's expense. 1) Return to www.HerculesTransitCenter.com and select the 'Lost/Stolen' button. Follow the instructions. 2) Send an email to customerservice@permit-sales.com. State your full name, provide your 4 digit barcode number (if you know it) and state that your permit was lost or stolen. 3) Fax the above information 303-759-4681. You will receive notifications of actions taken on your behalf. Automatic Parking Renewal. Parking fees will be charged to your credit card or bank account monthly. On, or around, the 18th of each month parking fees for the coming month will be automatically charged to your credit card or bank account. If, for any reason, your payment is not honored at that time, you will be sent an email to the email address you provided in your parking registration. You will have until 4:00 PM Pacific Time on 18th to make payment arrangements. If no payment is confirmed by that time, your permit will be cancelled, your reservation will be lost, and your space will be resold. 1) Return to www.HerculesTransitCenter.com and select the 'Cancel' button. Follow the instructions. 2) Send an email to customerservice@permit-sales.com. State your full name, provide your permit number, station and state that you would like to cancel your permit. Only after you complete one of the above steps and receive a confirmation will your permit be cancelled. Failure to cancel by the 15th of the current month will result in charges for the following month. All Sales Are Final. Parking is sold on a full month basis only. Once parking fees have been charged there will be no returns, prorated refunds, or cancellations allowed. CERTIFICATION. I certify that I have read the above and understand my responsibility to comply with BART and the City of Hercules Regulations. I understand that failure to do so may result in the issuance of a citation, forfeiture of my parking privileges, and/or impoundment of my vehicle(s). Permit Usage Monthly parking permits are intended for Hercules Transit Center patrons using the Hercules Transit Center system. A Hercules Transit Center patron is defined as one who proceeds directly into the platform to ride transit. Should it be determined that the holder is using the permit for other purposes, the permit may be revoked and a citation may be issued to the vehicle. © Permit-Sales.com - All rights reserved.